Enjoy the simple things of the everyday rural life by participating in the daily activities of the estancia working alongside the gauchos and their trusty. The work varies depending on the time of the year, but the wonderful, friendly gauchos with their berets, ‘bombachas’ (riding trousers) and with their knives tucked into their colorful belts, always welcome a bit of help checking and moving the stock or putting animals in the corrals; they all seem to have been born on a horse and it is a delight to be riding with them! Full board included. 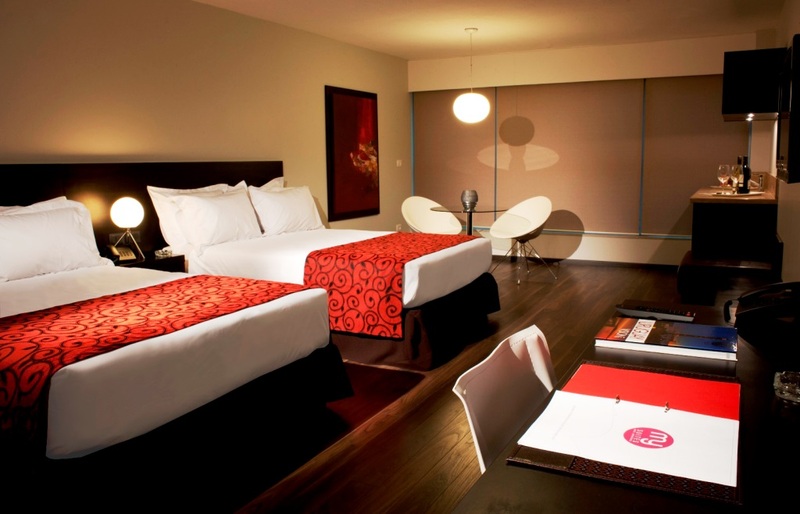 Accommodation at the estancia. B, L, D.
Early drive to the National Park of Quebrada de los Cuervos where guests will spend the day trekking down the fantastic gorge that is formed at the junctions of the “Yerbal Stream” and “Olimar River” (a local guide can be coordinated with anticipation and extra cost). A lot of wildlife can be seen in the area which is also great for bird watching! The estancia will prepare a nice picnic for guests so they can spend the day exploring. Afternoon drive down Route 8 towards Mariscala, where guests will enjoy dinner and relax at Posada de Campo Balcon del Abra. B, L,D. After breakfast, drive south-east along the winding and panoramic Route 109 towards the Province of Rocha. Guests will enjoy wonderful landscape! 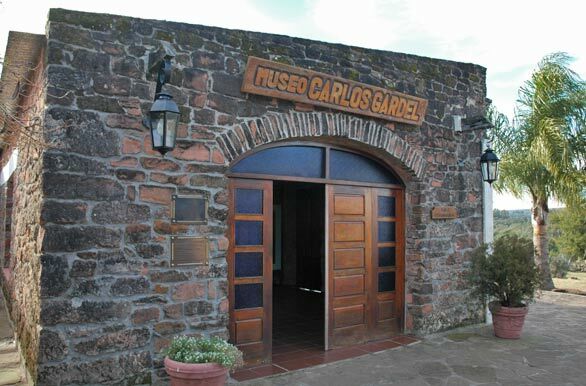 Arrival to Estancia Guardia del Monte where a delicious lunch will be waiting! 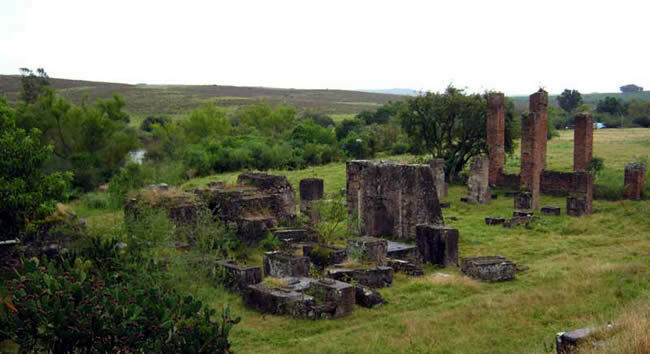 Guardia del Monte is a traditional estancia with outstanding landscape beauty and important ecosystems containing a great variety of birds and native scrublands. We will enjoy some quality bird watching along the large area of marshlands and wetlands both of which are teeming with bird life (more than 400 species in this area), otters, coypus and capybaras. We will be able to spot the graceful black-necked swan (largest populations in the world found here), the rare white goose, the pink flamingo (a species of flamingo with very bright pink pigment and quite common in Uruguay) and many ducks and other birds such as the largest bird in South America – the ‘ostrich-like’ “ñandú” (American rhea). 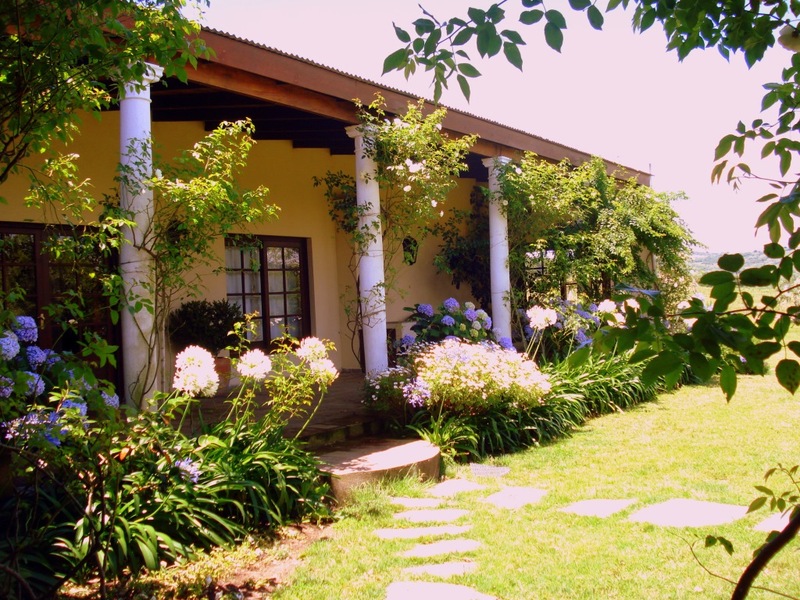 Dinner and accommodation at Estancia Guardia del Monte. B, L, D.
After breakfast, drive to Valizas town where a local guide will be waiting to start an unforgettable tour to “Cabo Polonio” Village. After a short walk around the town, we will start the trekking along the coastline that will take us towards the incredible shifting sand dunes (one of the biggest ones in the world). 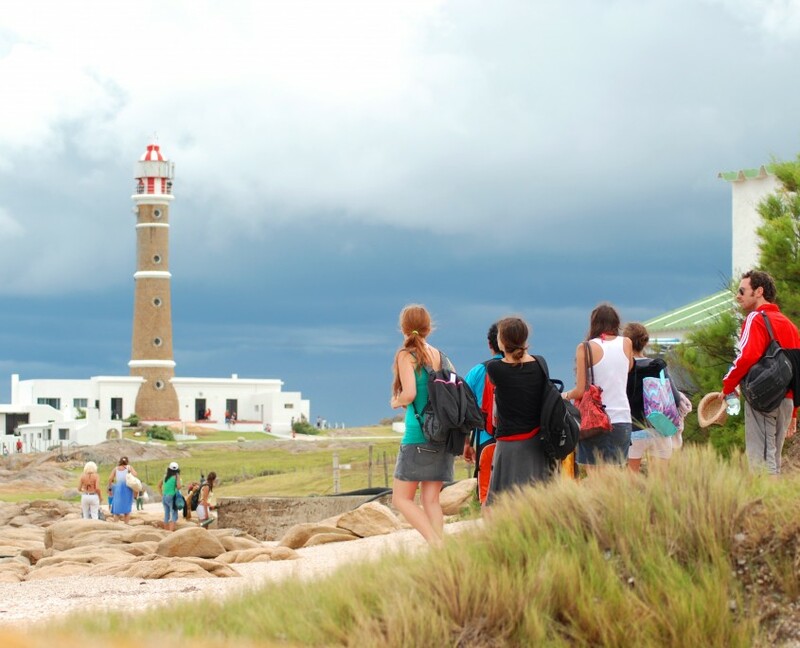 We will trek up the “Buena Vista Hill” from where a fantastic view of the ocean can be appreciated, to continue down towards Cabo Polonio (4 hours trek). After a delicious seafood lunch at a local seaside restaurant, we will visit the light house and sea lions reserve. Afternoon 4×4 truck- drive towards the main entrance of Cabo Polonio where a private transfer will drive guests back to Valizas to pick up their car. Drive back to Estancia Guardia del Monte for dinner and accommodation. 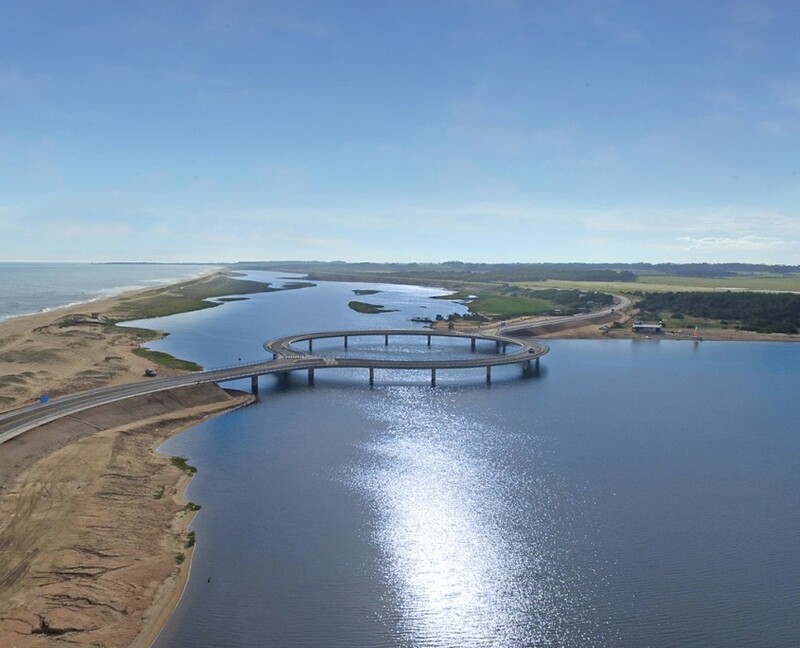 B, L, D.
Whether you are in the area of Punta del Este, Jose Ignacio or Montevideo, a transfer will pick you up at your hotel and drive you towards the Garzon Lagoon, the natural limit between the provinces of Maldonado and Rocha. This unique protected natural area is part of what we call the wetlands of the “Eastern Biosphere Reserve” internationally recognized within the framework of the Man and the Biosphere (Man and the Biosphere, MAB) of UNESCO since 1976. 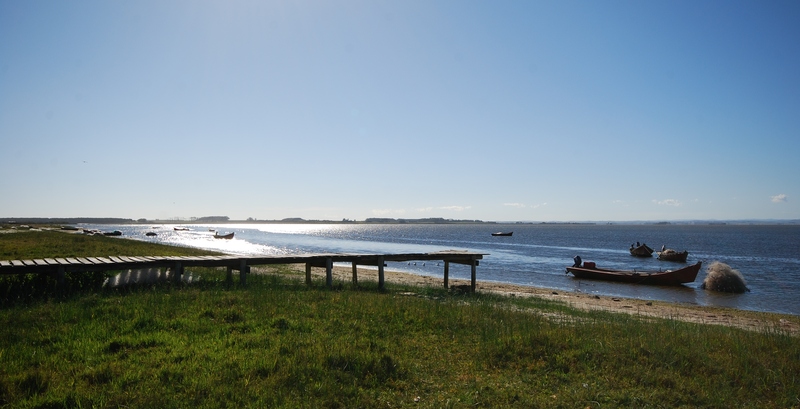 After crossing on the charming “Balsa”, will continue onto the Rocha Lagoon, a semi-freshwater lagoon of 72 km2 (28 sq. mi). This lagoon, located only 25 minutes from Jose Ignacio Village, has an outlet to the sea during winter months and constitutes a bird paradise with 220 species which have been recorded like migratory waders, Flamingos, Swans, Herons and ducks among others. A Lares guide will be waiting for us to board on a canoe adventure that will take us across this beautiful lagoon full of birds, local wildlife and native vegetation! We will be able to see various bird species, local wildlife and native vegetation and once on the other side, our bikes will be waiting for us to ride to the village of La Paloma with its beautiful lighthouse where we will make a stop to enjoy a picnic lunch. 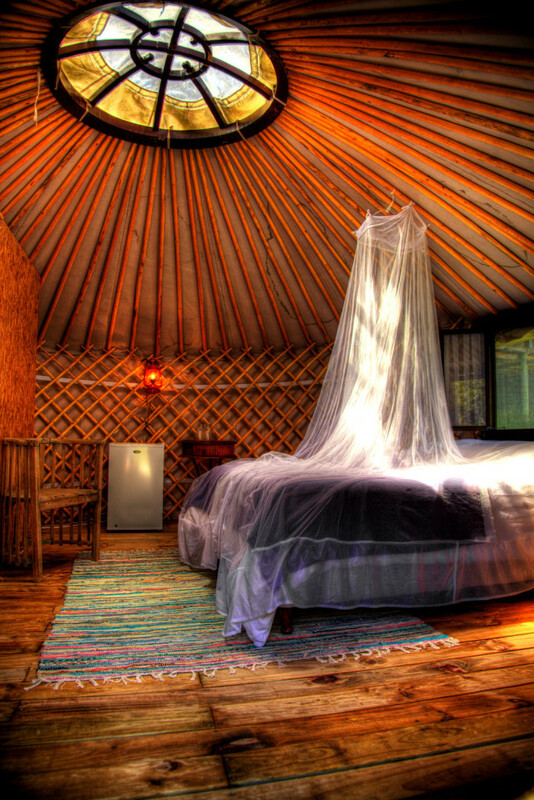 We will then continue onto Pueblo Barrancas Eco Lodge to spend a peaceful night close to the Atlantic Ocean. – Please note that in an effort to reduce carbon dioxide emissions, we have arranged your luggage and belongings to be transferred across the lagoon on a canoe specially dedicated to this task. This will help us avoid unnecessary vehicle transfers, saving at least 170 km of CO2 emissions. (Tourism, as other sectors too, contributes to global emissions. According to the UNWTO-UNEP study (2008) tourism contributes around 5% to global CO2 emissions and 75% of the sector’s emissions are generated by transportation).If necessary, we can coordinate a transfer for your luggage but we will charge an extra 5% (equal to the 5% contribution of tourism to global CO2 emissions) to the usual cost of this which will be 100% donated to Karumbe, the local NGO working on marine life conservation. Moreover, Lares, will donate another equal 5% to the same cause. 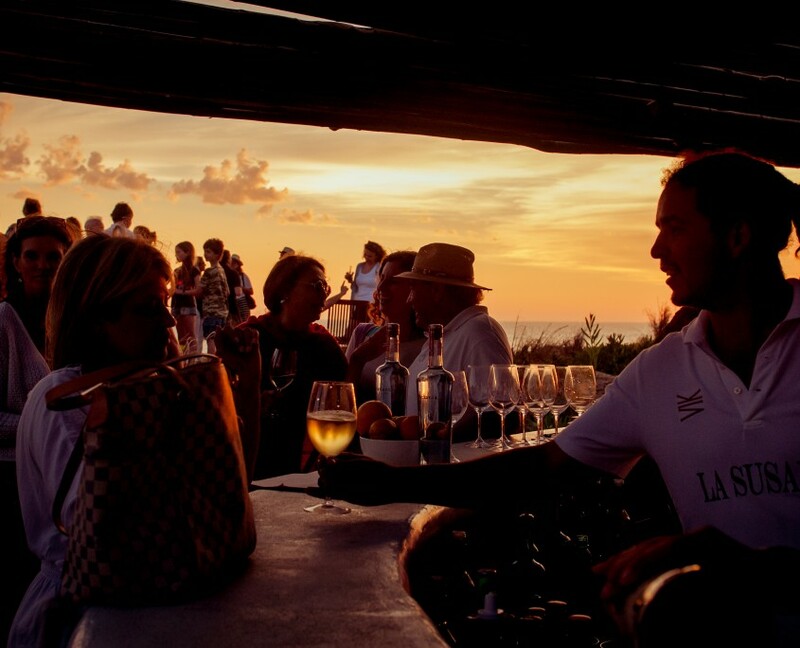 – This tour can also start with the biking adventure from Jose Ignacio or organized as a day tour without staying at the lodge in Rocha. 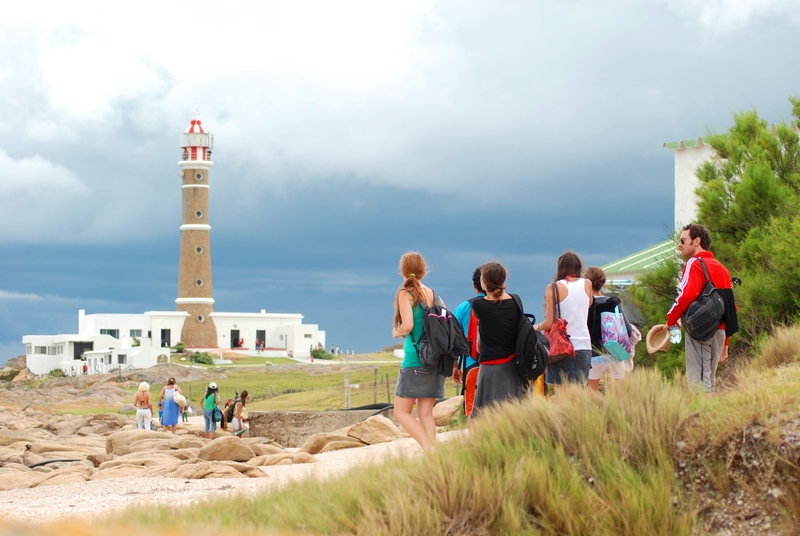 Trek across the incredible sand dunes that maintains the village of Cabo Polonio isolated from the other nearby towns. The lovely village of Barra de Valizas is the perfect strating point to reach the shifting sand dunes along the Atlantic Ocean. Enjoy trekking accross the dunes and along the shore, explore the flora of this special region and learn about the more than 200 species of colourful birds that guide your way to Cabo Polonio. The unique fishing village at the cape will be reached after four hours trekking. Colorfully painted houses, cozy beach restaurants and a stunning lighthouse await you as well as thousands of sea lions. 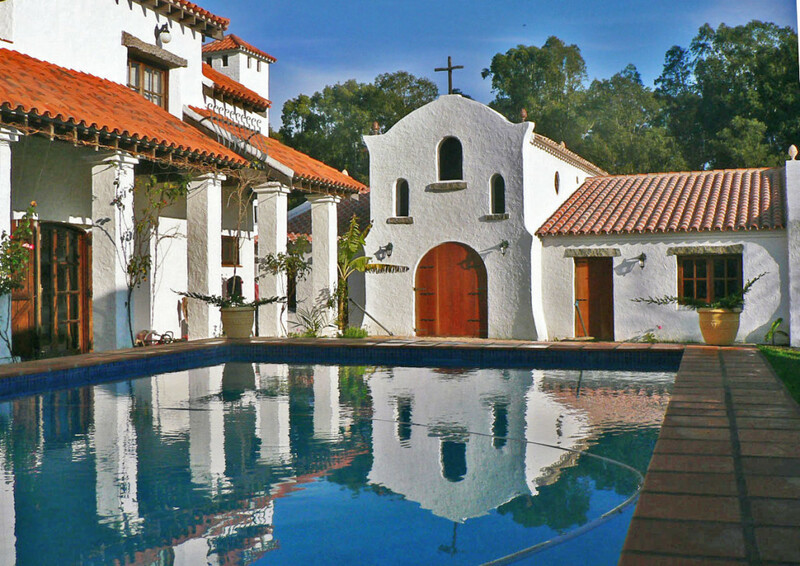 Head to a charming small posada in the area on 4×4 Jeeps to spend the night before you head to your next adventure! 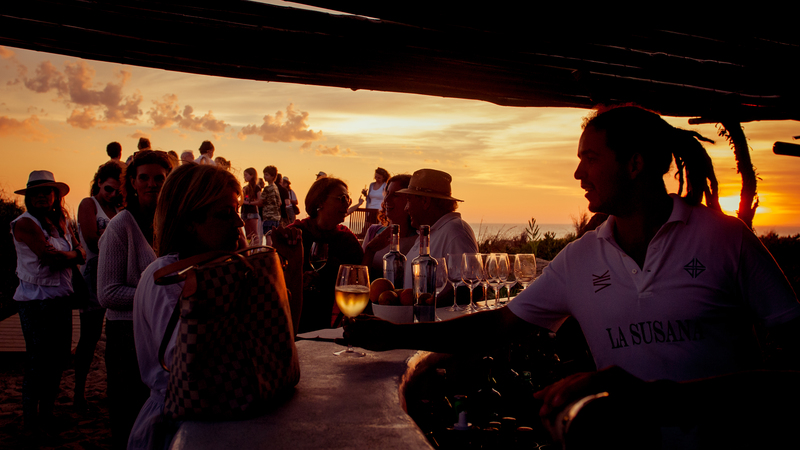 A local English speaking guide from Lares will pick you up at La Paloma, La Pedrera or one of the nearby coastal towns and drive you to the coastal village of Valizas. After a short walk around the town, we will start an marvelous 4 hour trek across the amazing shifting sand dunes of Cabo Polonio. 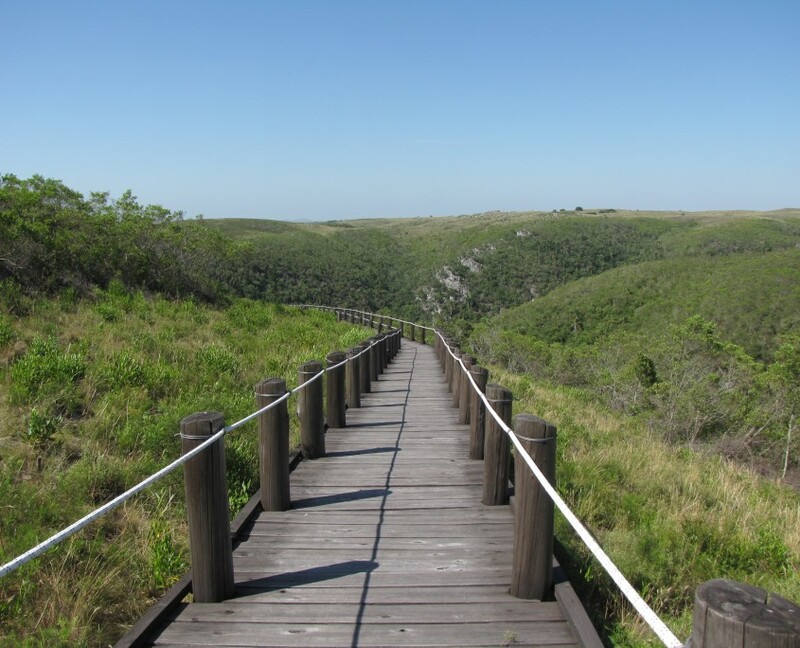 Once at the top of the “Buena Vista Hill”, you will enjoy a breathtaking view of the Atlantic Ocean before descending to the shore for a relaxing coastal hike to the small fishing village. Climb the lighthouse, watch one of the largest sea lion colonies of South America and enjoy a delicious seafood lunch overlooking the ocean. Afternoon 4-wheel-truck drive out of the natural reserve to Posada Valizas, a small charming Posada in one of the friendliest towns in the coast! 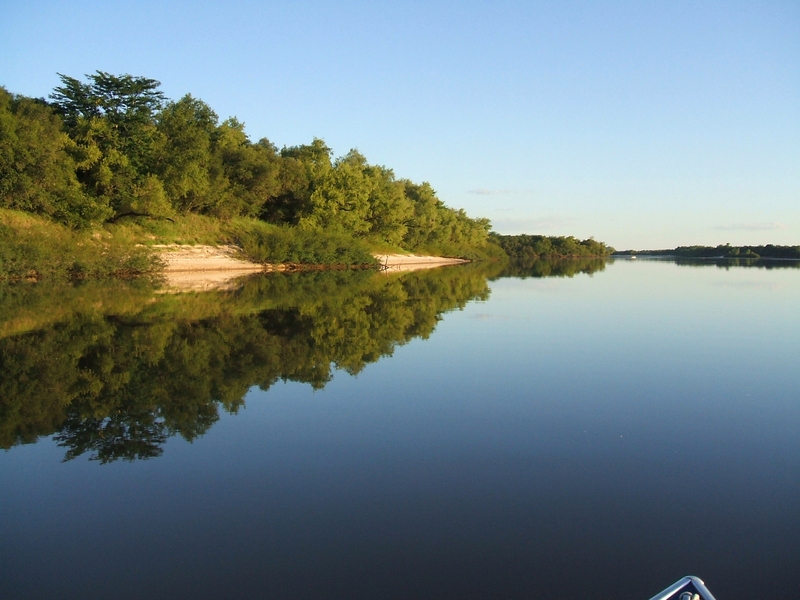 L.
The Indians who inhabited these lands gave the river its actual name; in the local Guarani language, “Queguay” means “place where dreams converge” and the area where our journey takes place is, in fact, where the “Queguay Grande” and “Queguay Chico” rivers converge. 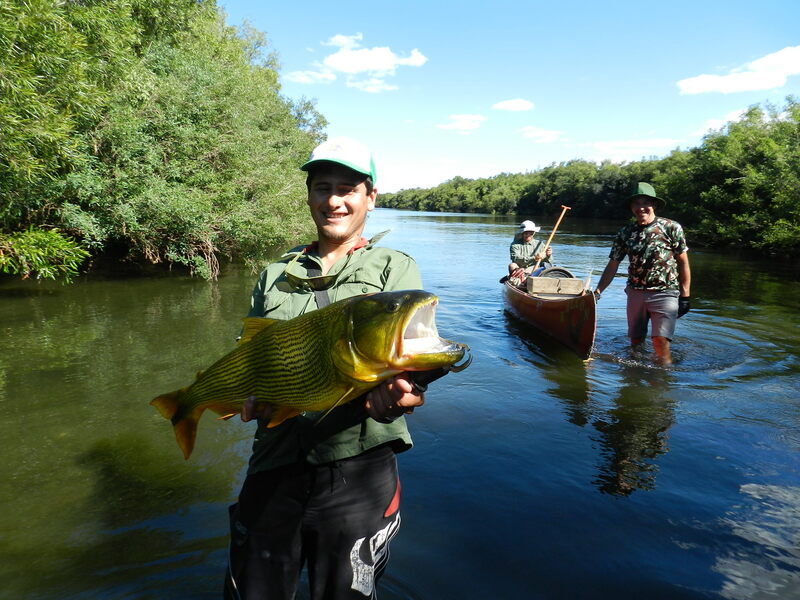 With some 300 km of course, the “Queguay” River is one of the only ones that remain untouched and part of the area denominated “Montes del Queguay” which is already in the National Protected Areas System. 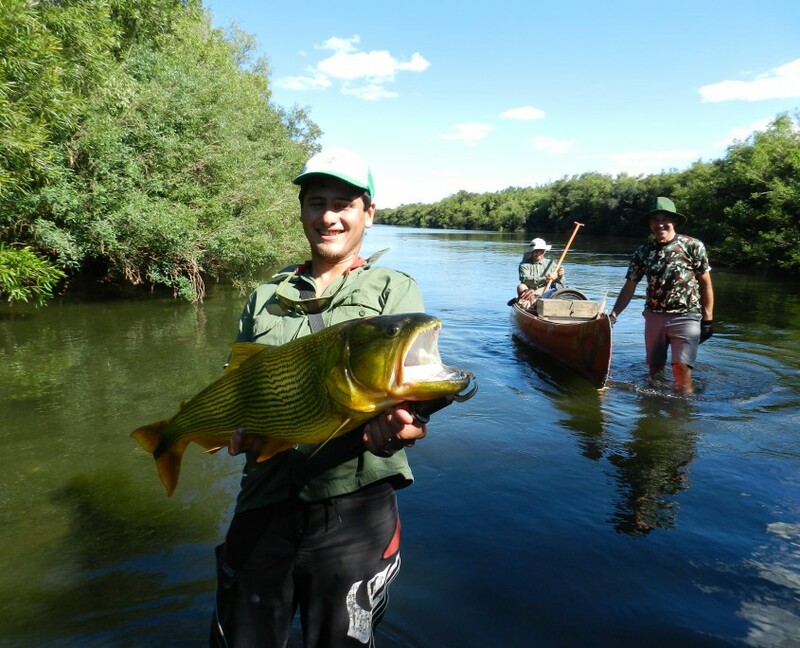 Nature lovers prefer it for its rich biodiversity, and because its course is the largest continuous area of native forest to be found in Uruguay! Arrival to the small town of Guichón, where we will meet tour local guides who will drive us to the “Queguay River”. The canoes are waiting for us to start the adventure! We will soon discover it is a stream with cliffs on both sides, virtually no sandy shores, with several curves and a unique and exuberant native forest surrounding it. Very tall trees bend over the river and in some areas even block the water course making the journey difficult but more adventurous. During the late afternoon, after an exhausting paddling day, we will find a place to camp. The typical “asado” will be cooked and organized by the guides together with a big fire, locally called “fogón” and we will celebrate the first expedition day with a good tannat wine. L, D.
This itinerary has been designed for nature-lovers including the natural reserves which have been included in the SNAP (National System of Protected Areas) and some of the National Parks. 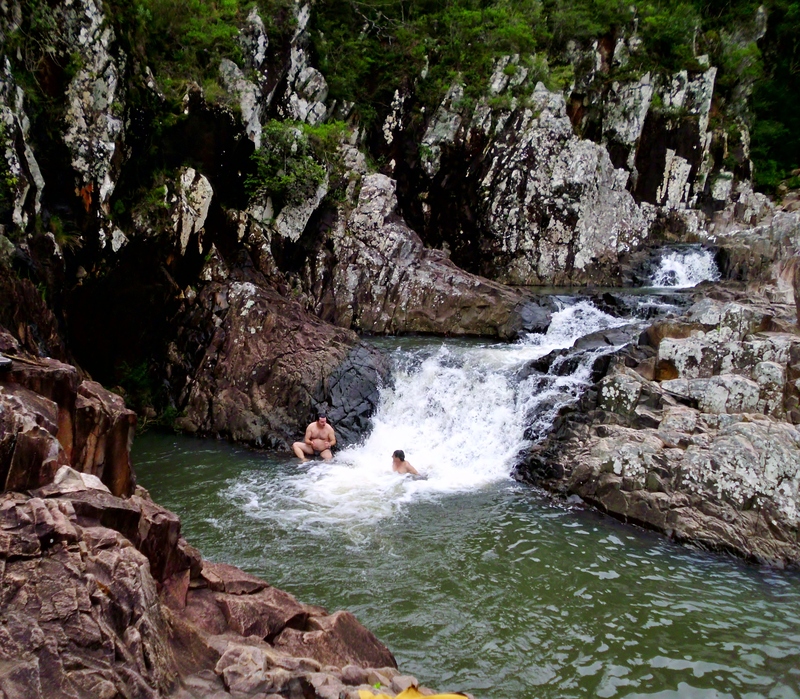 Visit the Farrapos Natural Reserve, well known for birdwatching, the “Lunarejo Valley”, a natural protected area of 30,000 hectares with great diversity including deep gorges, numerous streams, 14 species of native mammals and more than 536 different animals; the National Park of “Quebrada de los Cuervos”, where “Yerbal Chico” stream created a canyon and formed a fascinating gorge with cliffs up to 120 meters; the National Park of Santa Teresa with its amazing fortress built by the Portuguese at the times of the empires; the “Cabo Polonio” natural reserve, a small village completely surrounded and isolated by enormous sand dunes and the Laguna de Rocha, declared biosphere reserve by UNESCO. Morning at the Estancia to relax. After lunch, enjoy a canoeing tour along the Queguay River (the Indians who inhabited these lands gave the river its actual name which means “plave where dreams converge” and once you visit the region, you will understand why: the Queguay river is one of the only ones that remains untouched and part of the area denominated “Montes del Queguay” which is already within the National Protected Ares System). Dinner and accommodation at Santa Modesta. B, L, D.
Just after breakfast, a local guide will drive you to the Lunarejo Valley, a national protected area where we will discover several trails. We will trek down to the Valley and across the great gorge towards the Lunarejo stream, where we will enjoy a typical “criollo lunch”. During the afternoon, we will start the trek up the “Boquerón Hill” until we reach the top from where we will be able to enjoy an incredible 360 panoramic view of the whole Valley. After a full day of incredible trekking, we will return to the hotel (Please note we have different trail levels that can be adjusted to clients’ needs and interests. A full trekking program of 3 or more days can also be organized in the area). 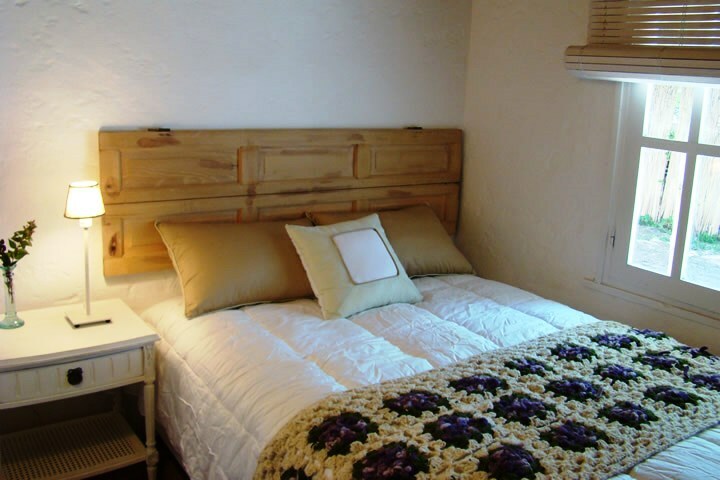 Accommodation at Posada La Bordona. After breakfast and only 1 hour away from Rivera, we will visit the area of Minas de Corrales, where we will get to see historic properties from where gold was formerly extracted back in the 19th century and learn about the legends of the area. We will walk 30 feet down the galleries dug under the city (an amazing live rock underground tunnel), visit the actual “Orosur” Mine, the Gold Museum and finish our day panning for gold in one of the local streams an experienced “baqueano” (a local gaucho that knows the land) who will teach us how to wash the sand of the river and obtain real gold! 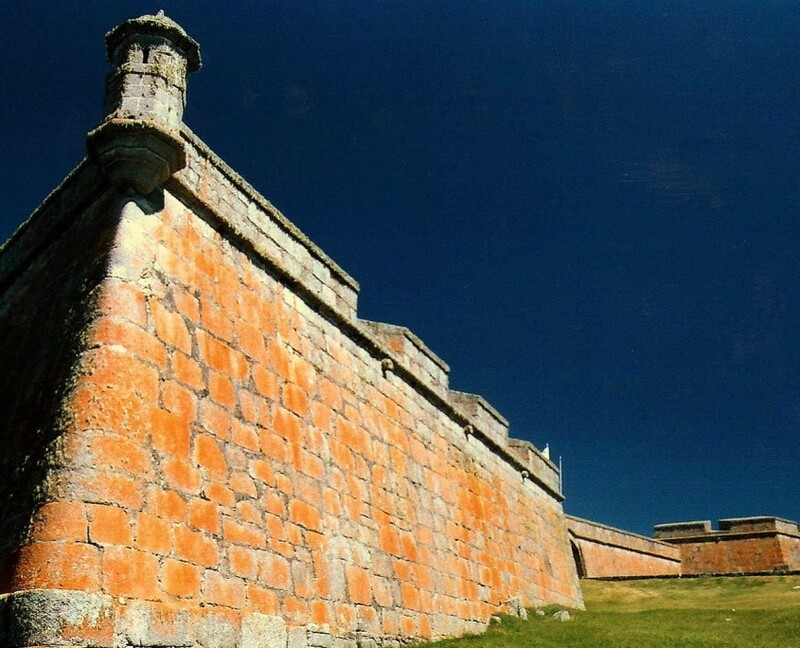 After a picnic lunch and a day full of emotions, we will continue our trip onto the Province of Treinta y Tres. 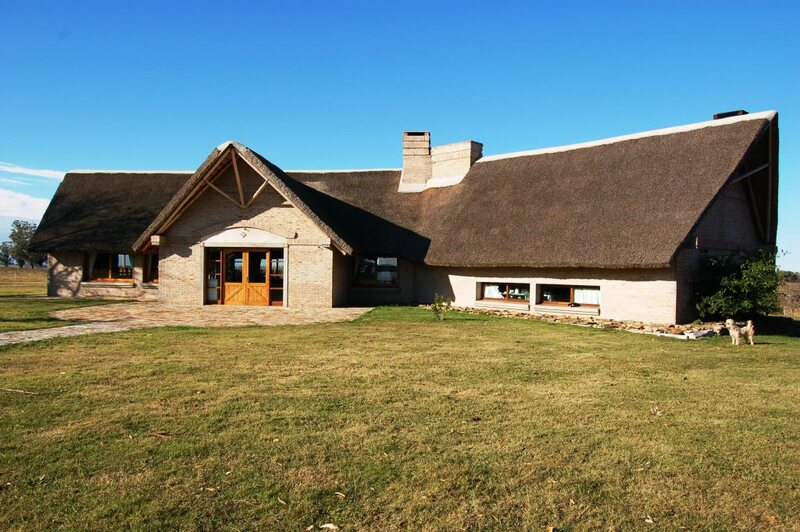 Dinner and accommodation at Estancia Pinos de la Quebrada. After breakfast, drive to one of the most natural landscapes of Uruguay; the “Yerba Chico” stream created a canyon and formed a fascinating gorge with cliffs up to 120 meters. A narrow footpath leads you down the rocks, accompanied by the sound of the wind and the rustling of vultures flying overhead. The unevenness that comprises the scenic beauty of this place is stunning and it seems like entering different world as you make your way down to the river. After a picnic lunch, we will trek to “Cañada del Brujo”. Drive back to Pinos de la Quebrada. Dinner and accommodation. B, L, D.
After breakfast, enjoy a relaxing morning. 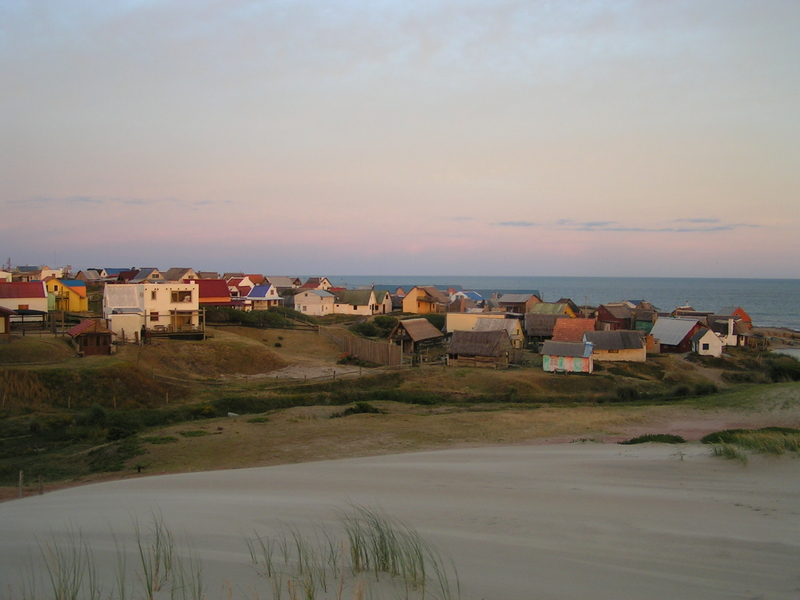 After lunch, drive to the small town of Punta del Diablo in the Province of Rocha. Dinner and accommodation at Posada La Viuda del Daiblo. B, L, D.
Morning drive to the Santa Teresa National Park, from where we will start a trek along the coast towards the Green Hill Protected Area. We will be looking for green turtles and dolphins, hoping to be lucky to spot them (November to March). After a picnic lunch, we will walk over the “hanging bridge” of La Coronilla and visit the visitors´ centre of the local NGO Karumbé (which means “turtle” in the local Guaraní language) A specialist will tell us about the different activities they are carrying out in the area. 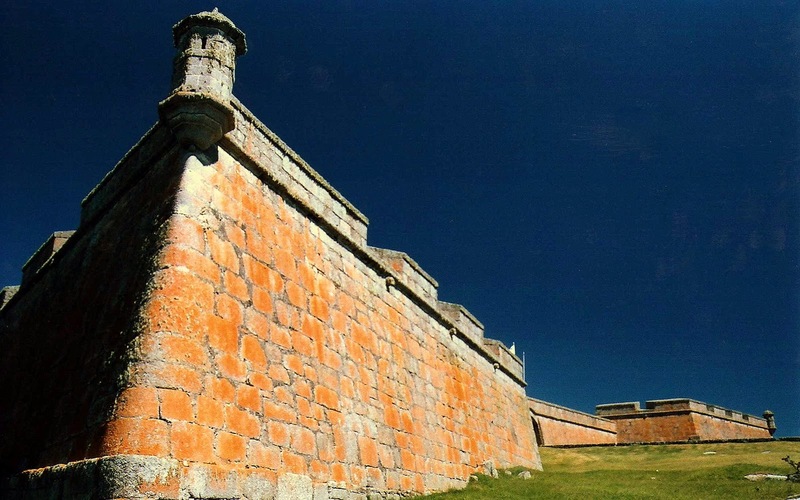 We will then drive to the Santa Teresa National Park to discover the Portuguese fortress and learn about the history of the area. 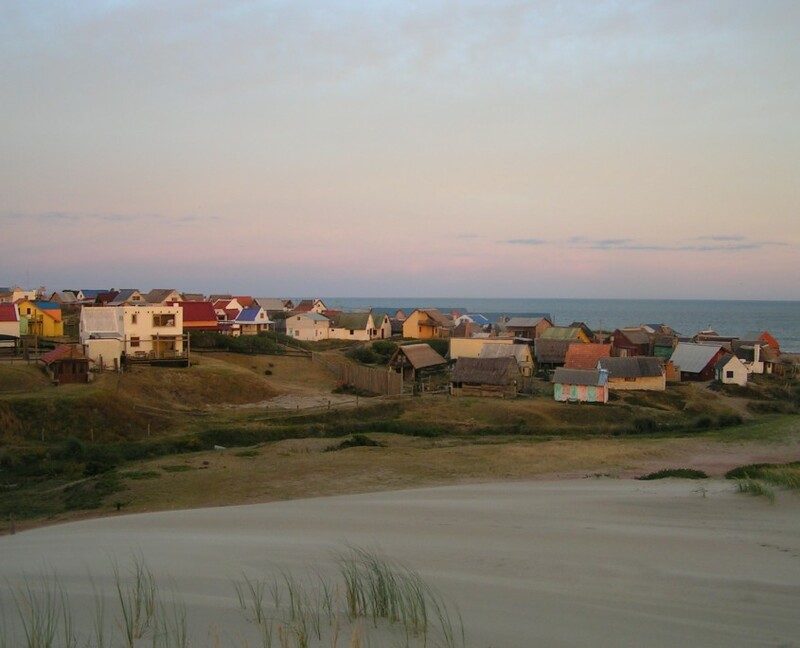 Transfer to Punta del Diablo and accommodation at Posada La Viuda del Diablo. Morning drive to the small town of Valizas. You will enjoy a marvelous 4-hour trekking from the coastal village of Valizas, and across the amazing sand dunes. You will enjoy a breathtaking view of the Atlantic Ocean before getting to the small fishing village of Cabo Polonio. Climb the lighthouse, watch one of the largest colonies of sea lions of South America and enjoy a delicious seafood lunch overlooking the ocean. Afternoon 4-wheel-truck drive out of the natural reserve. Accommodation at Posada Valizas. B, L.
Early morning drive to La Paloma. Bike ride from the light house to the Rocha Lagoon. This unique protected natural area is part of what we call the wetlands of the “Eastern Biosphere Reserve” internationally recognized within the framework of the Man and the Biosphere (Man and the Biosphere, MAB) of UNESCO since 1976. A specialized guide will row with you across the Rocha Lagoon, a semi-freshwater lagoon of 72 km2 (28 sq mi). 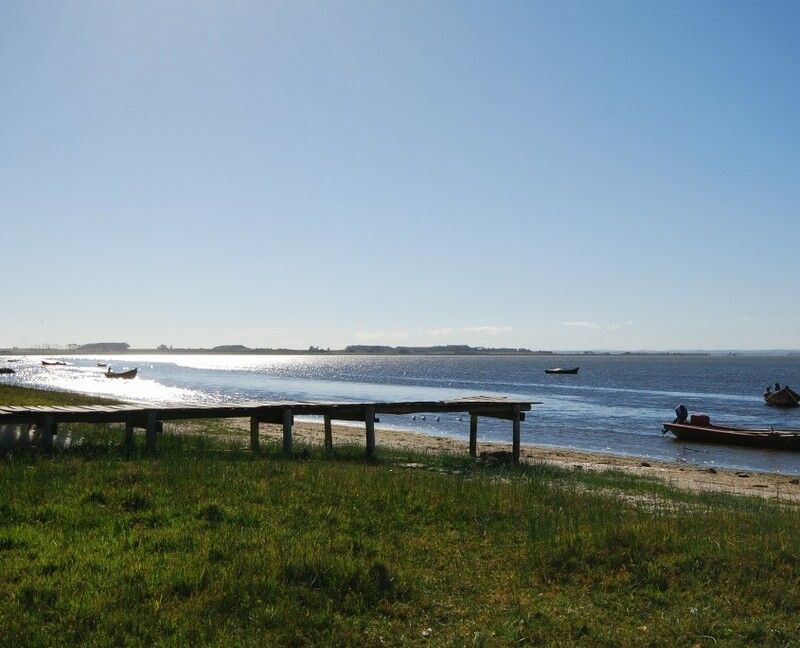 This lagoon, located only 25 minutes from Jose Ignacio Village, has an outlet to the sea during winter months and constitutes a bird paradise with 220 species which have been recorded like migratory waders, Flamingos, Swans, Herons and ducks among other. We will be able to see various bird species, local wildlife, native vegetation and once on the other side, we will enjoy a lovely picnic lunch on the shores of the lagoon. 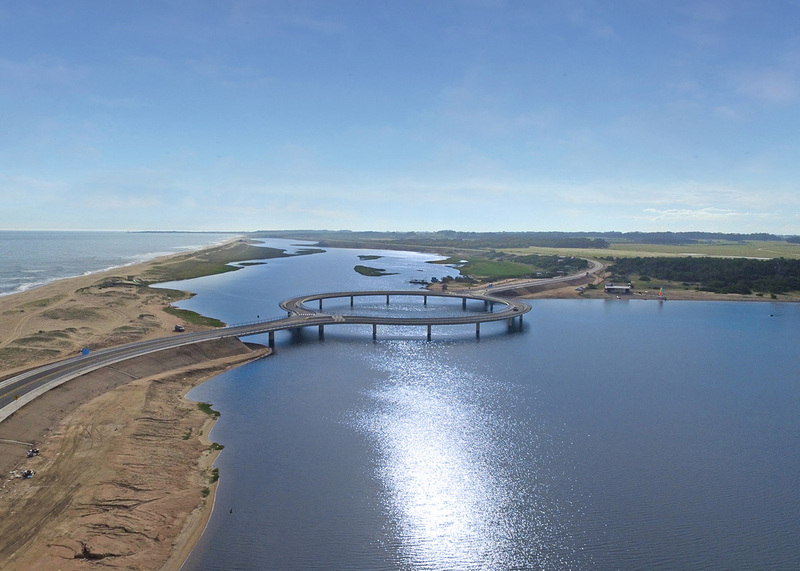 Transfer to the small town of Jose Ignacio. 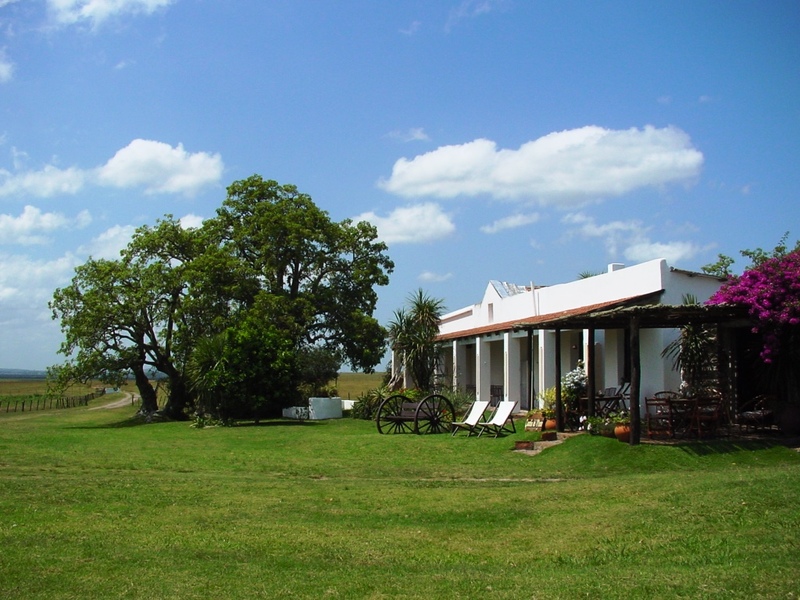 Accommodation at La VIuda de Jose Ignacio. B, L.